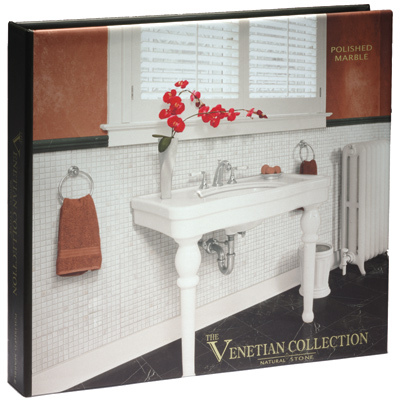 The Venetian series offers a wonderful combinations of polished marble stones suitable for every usage whether residential or commercial. 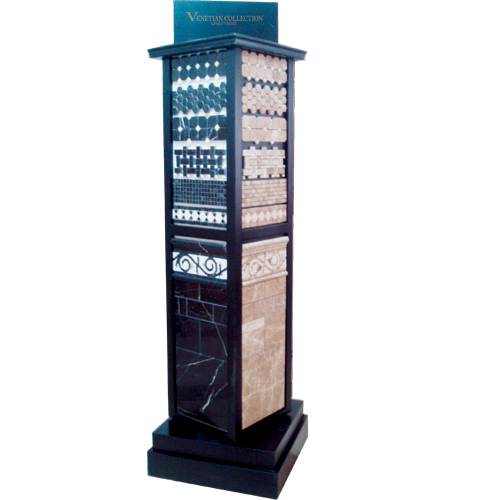 From kitchens to living areas, from dining rooms to hall ways, on floors and/or walls, the beauty of polished marbles will embellish your home or office space. 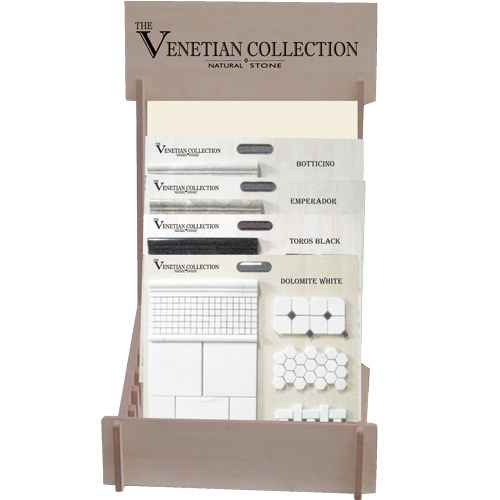 Whether your color taste is in the white or black, beige or brown, or a combination of those tones, the Venetian collection will answer to your decorative taste. 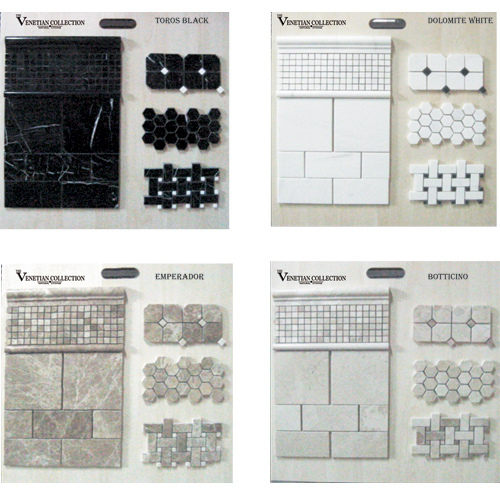 Available in various sizes, each field tiles and color comes with coordinated liners, chair rails, listello, mosaics and even beautiful rosones. Let the shades of Dolomite White, Toros Black, Botticino or Emperador carry you to the next level in home or commercial decoration.